The Woodlands and Wildlife Society is the giving society for our most loyal benefactors. Membership is offered to individuals who give $1,000 or more annually to the School. The funds garnered through the Woodlands and Wildlife Society are invaluable in supporting scholarships, opportunities for faculty development, lectureships and special programs such as Kreher Preserve and Nature Center, Solon Dixon Forestry Education Center, and Mary Olive Thomas Demonstration Forest. You may choose the program that your annual support will enhance. 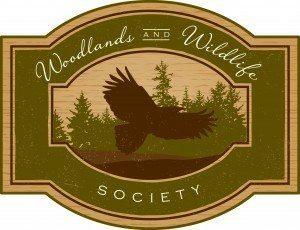 Membership in the Woodlands and Wildlife Society carries a number of exclusive benefits. As a member you will enjoy the preferential football parking option accompanied by tailgate spaces in front of the SFWS building on a first come, first serve basis, special acknowledgement in our annual magazine and invitations to special events, such as the Woodlands and Wildlife Society dinner. In addition, you will be presented with a certificate of appreciation, a lapel pin, and a car decal with the Society’s logo. If you have questions about the Woodlands and Wildlife Society or other ways you can contribute to the SFWS, please contact the Office of Development at sfwsdev@auburn.edu or phone (334) 844-1983. We invite you to foster the Auburn spirit and continue SFWS’s standard of excellence by considering membership in the Woodlands and Wildlife Society. Dr. & Mrs. Harold Foster, Jr.
Green Circle Bio Energy Inc.
Dr. Lewis G. Scharpf, Jr.
Ziebach and Webb Timber, Inc.
© 2019 School of Forestry & Wildlife Sciences. All Rights Reserved.